SAN DIEGO – Earlier today a Hemet couple pled guilty to smuggling 911 sea turtle eggs into the United States from Mexico. Sea turtle eggs have long been considered a delicacy as well as an aphrodisiac. 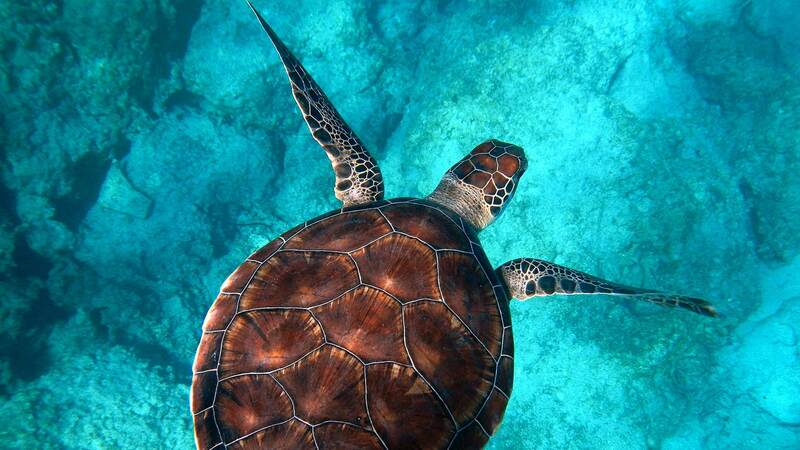 Reportedly, turtle eggs are richer tasting than chicken eggs and are packed with protein. The demand for turtle eggs, which derive basically from Asian markets, can result in them being sold in retail markets for $100 to $300 per egg. In other words, the market can be as profitable as drug smuggling, but with nowhere close to the risk. As revealed in Court pleadings, on November 23, 2014, in Nayarit, Mexico, defendant Olga Jimenez boarded a bus destined for Tijuana with a large cooler containing nine small plastic bags filled with a total of 911 sea turtle eggs. At the same time, Defendant Jose Luis Jimenez was driving from Hemet, California, to the Mexican border where he crossed into Mexico as a pedestrian carrying two small coolers. Upon meeting his wife at the bus station in Tijuana, the couple moved the sea turtle eggs from the large cooler to the two small coolers. They concealed the eggs under layers of ice and fish and shrimp, and gave the coolers to the owner of a pickup truck to bring to the United States. The Jimenezes told the driver that the coolers contained only fish and shrimp intending that the eggs would not be declared. The defendants agreed that their smuggling was part of a business, and that the eggs were harvested without a permit, sold without a proper invoice demonstrating the lawful origin of the product, and transported without a transportation permit. In pleading guilty, the defendants agreed to the forfeiture of the eggs, and to pay restitution of up to $9,000 to the government of Mexico for the loss of the natural resource. The defendant agreed that the eggs belonged to endangered Olive ridley and Kemp’s ridley sea turtles. Both Olive ridley and Kemp’s ridley sea turtles were initially identified as endangered under the U.S. Endangered Species Act, in 1978 and 1973, and in 1981, Olive ridley and Kemp’s ridley sea turtles were placed on Appendix I of the Convention on International Trade in Endangered Species (“CITES”). Both Mexico and the United States are signatories to CITES. It is a violation of law in both countries to trade in Olive ridley and Kemp’s ridley sea turtles or any part of those sea turtles, including their eggs, without permission from the respective governments. According to the National Oceanic and Atmospheric Administration, both Olive ridley and Kemp’s ridley sea turtles display one of the most unique synchronized nesting habits in the natural world. Large groups of turtles gather off shore of nesting beaches and then come ashore all at once to nest in what is known as an arribada. Females nest once or twice a year, laying clutches of approximately 100 eggs and burying them in the sand on the beach. During the spectacle of the arribada, the nesting sites are vulnerable to poachers, who collect the eggs for sale for human consumption. Olive ridley sea turtles (Lepidochelys olivacea) inhabit a broad range extending in the South Atlantic Ocean from West Africa to South America and in the eastern Pacific Ocean from Southern California to Northern Chile. Adults weigh approximately 100 pounds, and have olive/grayish-green heart-shaped shells measuring 22‑31 inches in diameter. Kemp’s ridley sea turtles (Lepidochelys kempii) are the smallest marine turtle in the world. Their top shell is grayish green and nearly circular, with a pale yellowish bottom shell. Adults weigh approximately 100 pounds and have shells measuring approximately 24-28 inches in diameter. Kemp’s ridley sea turtles are found in the Gulf of Mexico and the Atlantic Ocean from the Yucatan peninsula in Mexico to New England. The defendants were ordered to appear before the Hon. Janis L. Sammartino on May 6, 2016, at 9:00 a.m. for sentencing.